Last Saturday was the day, to chrono some flightbows and flightarrows I did all over 2013. Chrono setup: the chronograph is placed on a rack, all the lights(LED) in my workshop are turned on, plus the indoor shooting lights of the chrony. There is a backstop in the background. 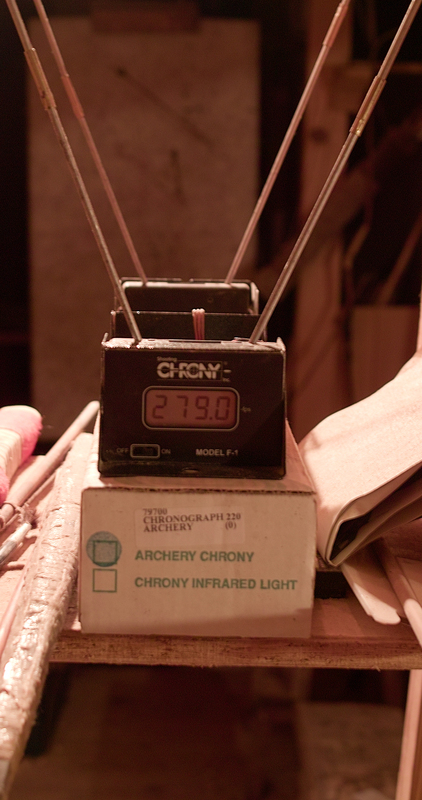 I found as much light as possible gives exact and serious results when doing chronos inside. Indoor shooting lights for the chrony, installed just above the photo- sensors. 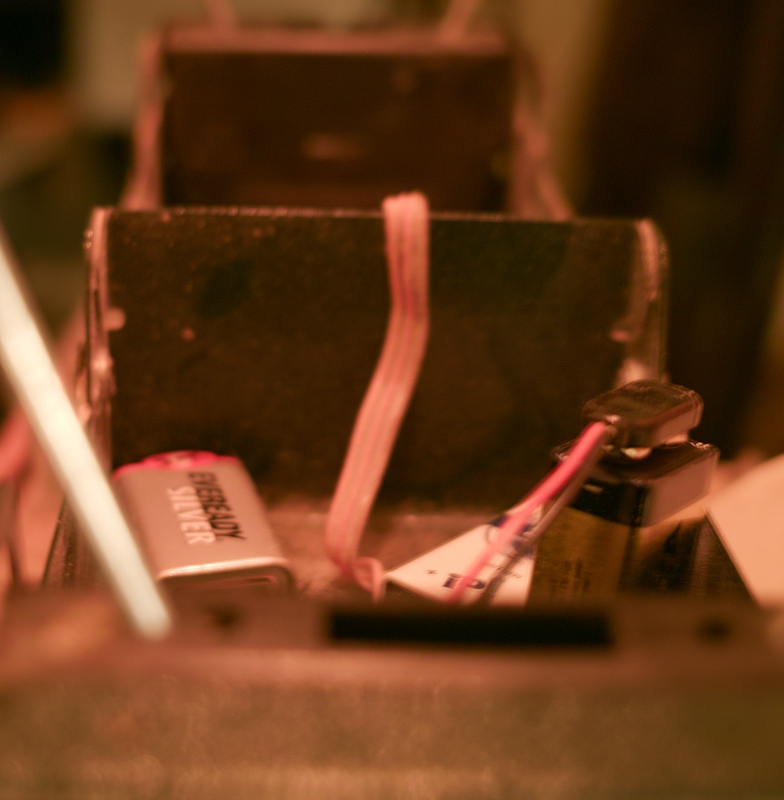 Inside the chrony with the 9V alkaline battery attached. 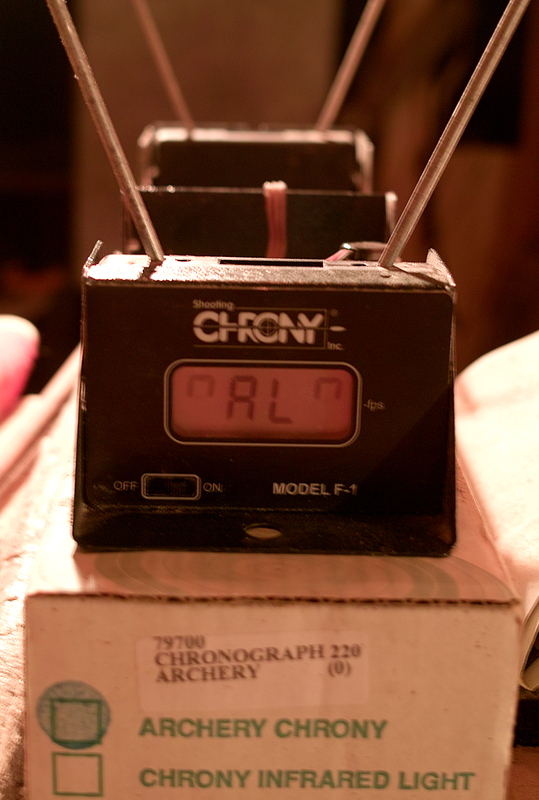 The display told me the chrony is ready. 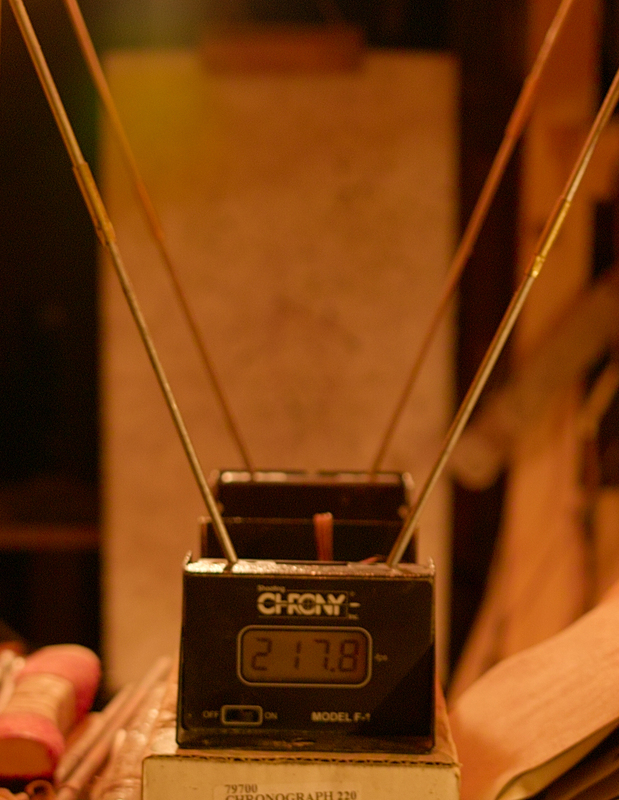 Best speed of the 42lbs elm sinew backed bow, shot with a 260grs. arrow made of larch. Sinew backed elm bow with inuit- style tips, bow is 44″ in length, 42lbs at 23″. The short wild rose sinew- backed bow is 43″ in length, 40lbs at 23″. It shots an 180grs. 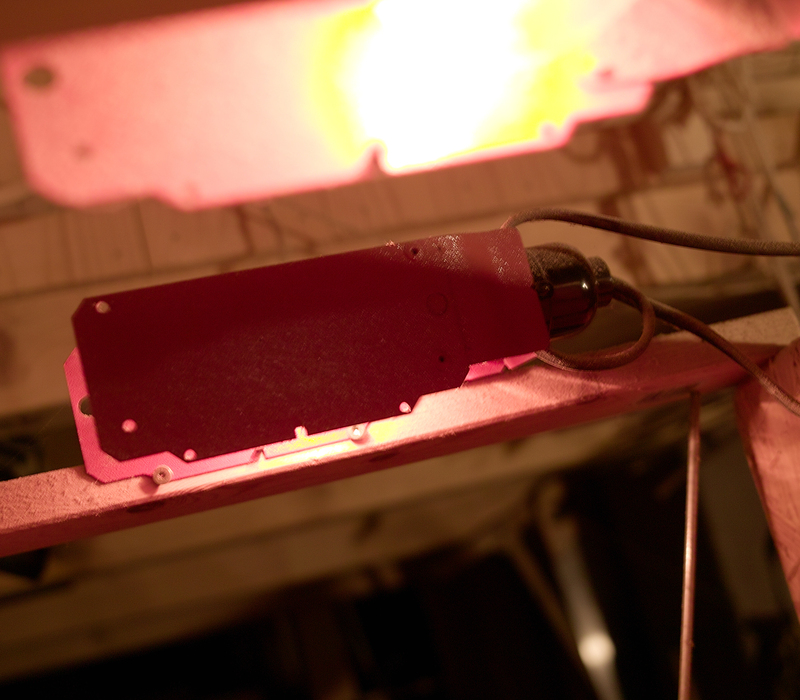 hollow cedar hex- shaft arrow at 204,6f/s. The queen- braced. 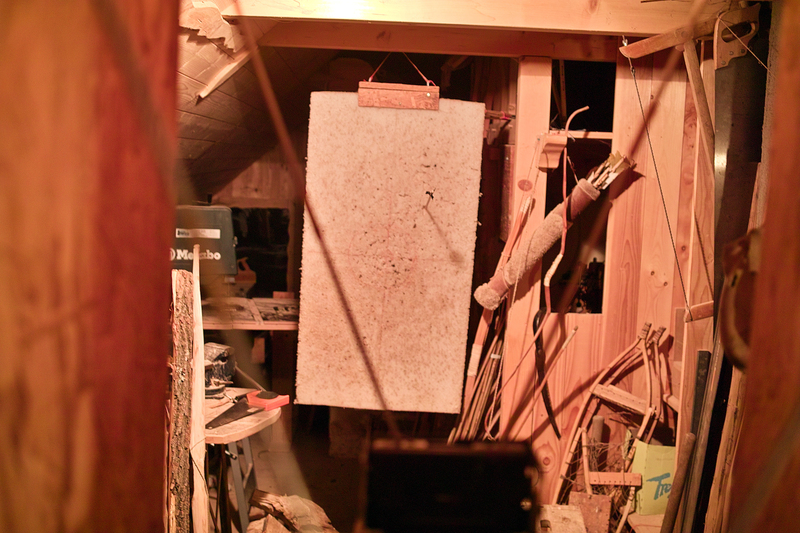 The arrow is made of thin baked strips of fine grown larch, with the tip and the nock enforced with bird’ s eye maple. Best speed of this session. Success so far. But I was longing for more: 300f/s!!!! I ignored my falling concentration and accuracy and ended up with 4 broken flightarrows, the 279,0f/s arrow is lost somewhere in the disorder of my workshop. 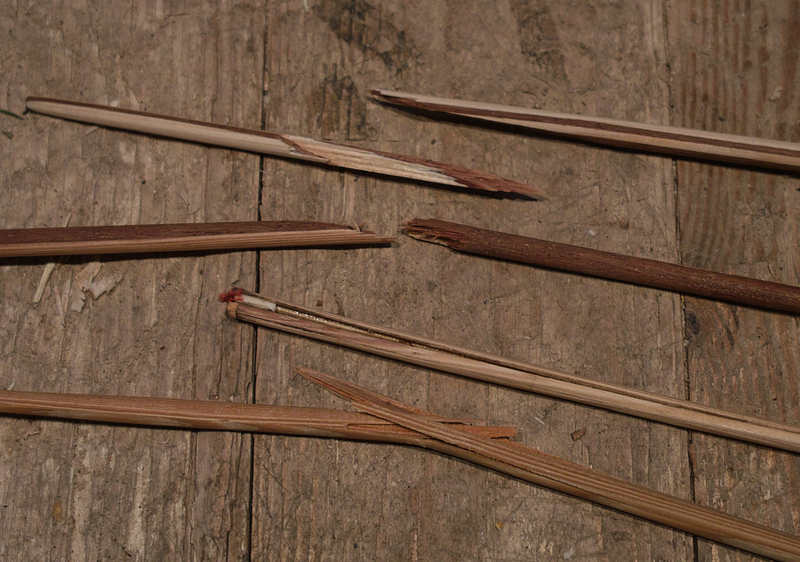 I even hitted the wire rod of the chrony and failed the backstop, my hands and fingers began to suffer. Remember zen: don’ t overdo it, underdo it. These arrows are all composites. 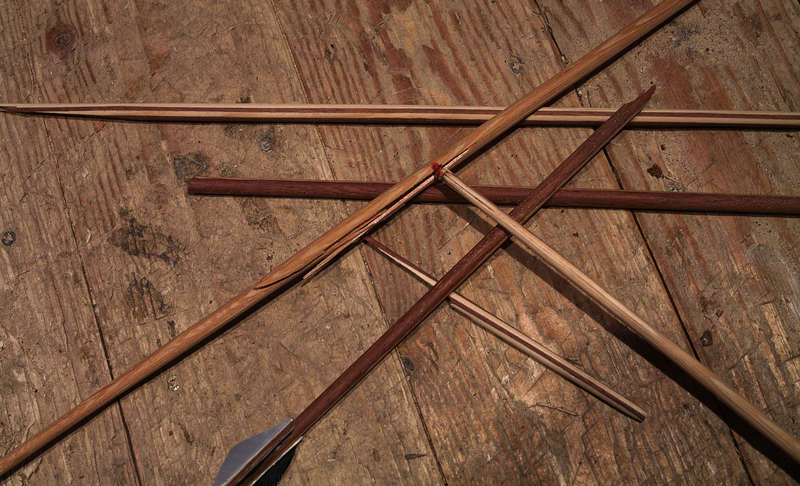 I guess I should choose the wood for the arrows much more serious and take much more care on the glueing. The fletchings have survived for the next massacre. Previous Post Hysteresis? Hysteresis! in wooden bows.